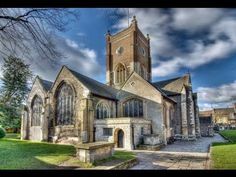 All Saints is the historic parish church of Kingston, whose bounds stretched at one time from Richmond to Molesey. It is a place of significant heritage. The first King of England – Athelstan in 925AD – was crowned here making this, arguably, the place where England began. The church has been at the centre of Kingston life for centuries and serving the community in a variety of different ways is a top priority for us. We have a liberal outlook and intend that our services are inclusive and graceful, without being stuffy. Music plays an important part in our life, supporting our worship and helping us to pray. You are very welcome to join us or make a visit.